This month I read (and reviewed) Vigil by Australian author Angela Slatter. 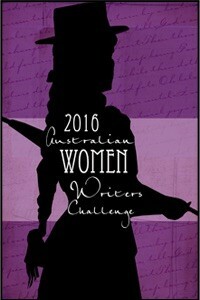 I reviewed the book for the Australian Women Writers Reading challenge here, so you can read my opinion in great detail. I also read the final “Long Earth” book by Terry Pratchett and Stephen Baxter, called The Long Cosmos. I’ve enjoyed the series without loving it, and I must admit that my primary motivation around this book was to be a completist. The writing was good, but I must admit that the plot didn’t really seem to build to anything. If you like the series, you’ll probably already have read the book. If not, you can quite safely give this one a miss. I’ve started on The Grace of Kings by Ken Liu. I’m only a little way through the book, but enjoying it so far. It’s been a long introduction, but the characters are enjoyable and the world building interesting enough to carry me through. More next month! Never having read any Lois McMaster Bujold, I’ve decided to give the Vorkosigan Saga a go. I’m starting with Falling Free. Hopefully I’ll have finished that next month too. As reported last month, the second series’ of Dark Matter (a science fiction show that actually features a spaceship) and Killjoys (intergalactic bounty hunters) started back up. I’ve quite enjoyed both through the course of the month. Dark Matter is probably my favourite of the two, but only just. It is jumping around a bit cast wise, with one of the main cast from last season killed off and an array of new characters popping in and out. But the overall plot is interesting, and the acting good enough to keep me coming back. Killjoys is getting better this season, with more of an overarching storyline to keep me interested. I think the show is a bit tighter this season. I just today realised that the second series of Marvel’s Agent Carter is playing on one of the free to air channels (7flix). Fortunately their catch up TV still has the first six episodes so I’ll make a concerted effort to catch up. A lot of movies this month. Last month I mentioned that my 8-year old daughter and I were going to see Ghostbusters. My daughter really enjoyed the movie, and loved the cast (and the “icky ghosts”). The movie was everything I was hoping it would be in terms of strong female cast, good story, good special effects etc. I’ve read some commentary about some people being disappointed, but it did everything I wanted it to. Well worth going, especially if you’ve got a young person in your life who’d like to see strong representations of women on the big screen. I also went to the IMAX in Sydney to see the new Star Trek movie, Star Trek Beyond. I think this might be my favourite of the three new reboot movies, with a strong storyline and some great set pieces. The characters were strongly played (although seriously, how many times can they go back to the Mr-Spock-doesn’t-have-feelings-except-yes-he-actually-does-oh-he-is-human-afterall well?) and there was a good balance of action and humour. Clearly you’re probably not going to see the movie unless you’re a Star Trek fan, but I would say that if you like science fiction generally, this is the Star Trek movie I’d probably recommend for you. Speaking of Star Trek, has anyone else seen the news that there is going to be a new Star Trek TV series starting early next year? And that Australian Netflix is going to show the episodes the day after they air in the US? I can’t seem to find any further details than that, but the news has made me unreasonably excited. This weekend I also saw Suicide Squad. Look, I don’t don’t really want to get on the Suicide Squad bashing bandwagon. It’s not the greatest film in the world. You can probably wait until it comes out on DVD. Introducing such a lot of relatively unknown characters in one movie means that a LOT of time is dedicated to backstory. And the team bond together remarkably quickly considering they are all bad guys. But if you’re willing to suspend your disbelief it is a harmless enough way to kill a couple of hours. It gets a “meh” from me. Not much else this month. I’m not going to be at my computer next Sunday, so next week’s post might be a little delayed (I’ll try the automatic publish thing but quite frankly it has not served me well in the past). If it doesn’t work, I’ll publish on Tuesday. Promise! A long time ago I read a short story by Angela Slatter called “Brisneyland by Night” in an anthology called Sprawl. In my review, I mentioned that I felt that Slatter had just touched on a much wider world. Well, it seems I wasn’t the only person to feel that way, because Slatter has expanded the story into a full length novel. I really enjoyed the short story that inspired the novel, and that enjoyment has extended to the novel as a whole. 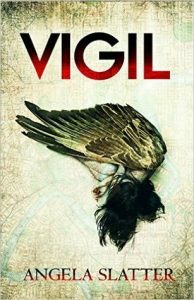 I have a soft spot for urban fantasy (indeed, my own novel length manuscript borrows a lot from urban fantasy tropes), and I was very taken with the Australian setting for Vigil (even if it was Brisbane). The protagonist, Verity, is a cranky private eye that straddles the world of normal humans (the Normal) and the supernatural community (the Weyrd). The Weyrd are portrayed as immigrants, people who have fled the old-country to find a new life on the other side of the world. I liked the matchup with the general makeup of Australian society – we are, after all, a society based around immigration. The Weyrd society seemed based primarily on European mythology, it did make me wonder about whether Asian and other influences might make their way into future books in the series. The plot consists of a series of mysteries that are mostly interconnected. The “joins” between the original short story and the rest of the novel are mostly seamless – I don’t think you’d notice at all if the novel was your first exposure. I enjoyed the way the plot moved between the different strands, it gave a sense of the broader world and the way the supernatural elements of it work. The pacing was good, with several set pieces that moved very quickly. While physical action isn’t Verity’s first choice of problem solving technique, there was sufficient confrontations to keep even the most die hard action fan satisfied. 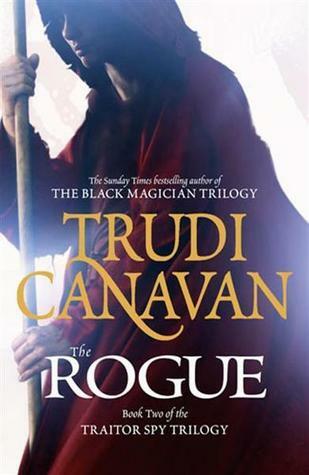 The characters are very well realised for the most part and very sympathetically drawn. It was an interesting approach to the romantic subplot – the boyfriend is very much in the background, and I must admit I struggled a bit to feel the strength of the relationship (beyond Verity telling us on many occasions how much she liked him). This made the section of the novel where he was in danger slightly less impactful then it might have otherwise been. Having said that, Slatter has a knack for drawing very substantive feeling secondary characters with a remarkable economy. Characters like the Norn sisters were quite vividly brought to life with very little page time. Slatter has won many awards for her writing, and with good reason. On a sentence by sentence level the prose is excellent, and Slatter does a great job in creating a sense of place around Brisbane. All up Vigil is an excellent novel, and with two more novels in the series planned, I’m looking forward to many more adventures with Verity Fassbinder. Highly recommended. 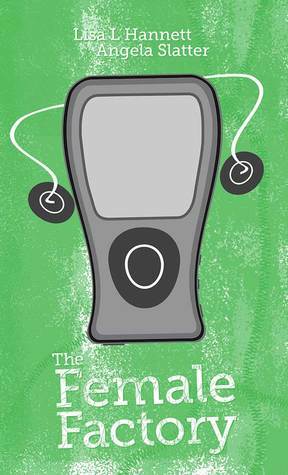 The Female Factory by Angela Slatter and Lisa L Hannett is the 11th book in the Twelve Planets series by Twelfth Planet Press. The series aims to showcase Australian women writing speculative fiction and has produced some stellar, award winning work over the last 3 years. Hannett and Slatter have collaborated before, most notably in the collection Midnight and Moonshine. The Female Factory has the polish of a well practiced collaboration, where the voice of the stories is smooth and doesn’t show any seams between the two story teller’s work. Vox – where the souls of children that are never born are used to give voice to electronic devices. Baggage – in a world where the very rich are willing to pay big money for a baby, Robyn’s ability to undertake multiple, simultaneous pregnancies should be an asset. All the Other Revivals – a haunting story where people born in the wrong body can make a change in the waters of the local billabong. 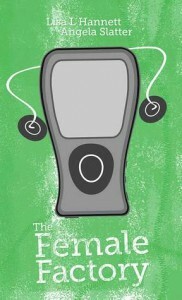 The Female Factory – we all know about genetic engineering and the possibility of designer babies. But what about designer mothers? In most of the stories the collection puts a strong emphasis on fertility, and the mother-child relationship. It provides perspectives that I found fresh and very engaging. It is a mature treatment of topics that are often glossed over or ignored completely. The writing is very sophisticated, and the authors are able to draw the reader into the protagonist’s world view effortlessly, portraying them very sympathetically while still showing the warts and all. The language is deceptively simple, while still creating imagery and atmosphere that I found compelling. Another excellent addition to the Twelve Planets series, and one I have no hesitation in recommending. Regular readers will know that I am an occasional contributor to the Galactic Chat podcast. Back in September 2014, one of the authors, Angela Slatter, was interviewed for the podcast. The interview was conducted by Alex Pierce, and contains some very interesting insights. You can find it here. And if that isn’t enough, Sean Wright also interviewed Lisa L. Hannett for Galactic Chat just before Christmas 2014 (the interview can be found here). I also reviewed this book on Goodreads. View all my Goodreads reviews.